10.00 a.m. - 3.45 p.m. Try your hand at this traditional craft with all materials and tools provided. No experience required. 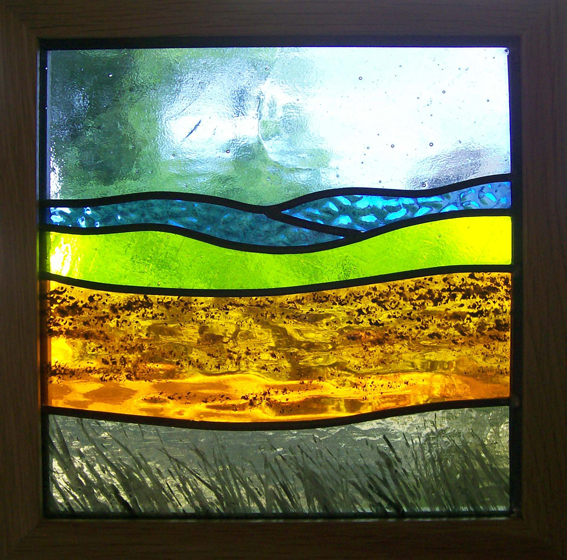 You will create your own stained-glass panel, approximately 200 mm square using the method of combining coloured glass with lead. Suitable to either build into a window or frame as a hanging panel.